A Residential Solar Solution for your University's Community! Awareness of solar has never been higher and pricing never lower, but people don't know where to start. So they look to trusted resources, like their university or their employer, to guide them in the right direction. EnergySage hosts the largest amount of solar educational resources available today. We do not favor a particular vendor and our educational resources are unbiased – we are simply focused on being comprehensive and consumer-friendly. Guide your community to our resources so they can go solar with confidence today! Going solar fosters energy independence, clean air and water, and local economic growth. If protecting the environment and creating local jobs are important to you, a solar program is a great way to share that message. We support communication efforts by lending the expertise of our in-house marketing and design teams. Help your alumni and faculty contribute to a more sustainable society while tracking your campaign’s progress. 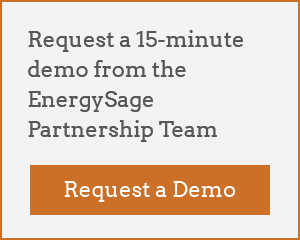 EnergySage programs have some of the highest engagement in the industry. Universities value the environmental impact of their employees going solar. "This program will encourage our community to take advantage of the power of the sun at a competitive price." EnergySage offers a range of tools for your community. EnergySage is the solar partner of choice for universities. View our partner overview PDF for more detail about how EnergySage partnerships work.